My friend Dave stopped by today, and we began probing the back yard for the privy dig, we began first behind the barn where the old dump remains buried. We did manage to locate a very promising spot for a upcoming test dig in that area. Next we probed and found a privy straight off my kitchen door. The probe went in easier and came up with ash on the end. Probing a row of depressions straight west of that one, it was difficult and the ground crunchy for the first 3 feet in. It’s hard to say, even with a probe, if there’s more than the one we did locate, but I’m up for some test holes anyway. It’s a bit exciting, knowing the farmhouse dates back to 1780, but there’s also a 1763 Tavern Inn 2 miles down my road. After probing and getting a feel for the lay of the yard, I suggested a walk as my arms were a tad tired. Probing is not hard, but still a bit of a workout. 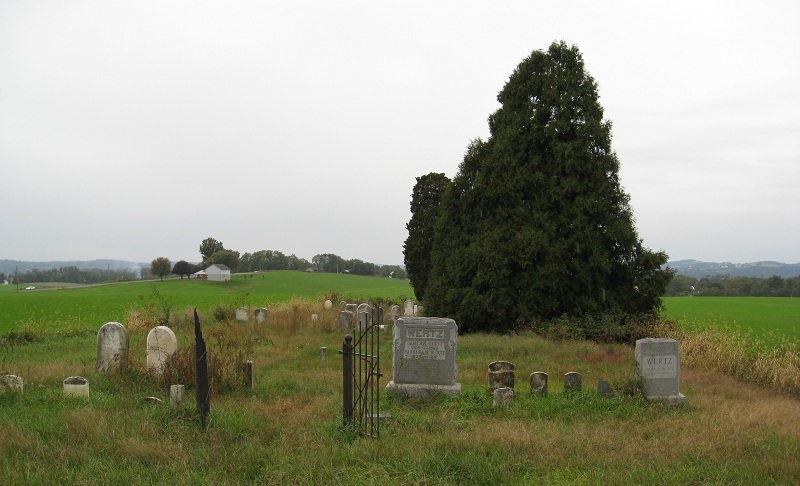 I wanted to show my friend the cemetery at the top of the hill behind the farmhouse. After grabbing my camera, we took a leisurely stroll up the hill to find quite a peaceful scene. 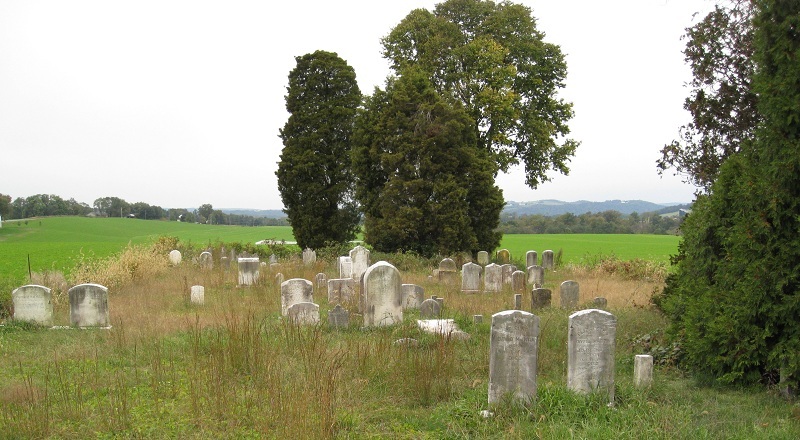 This cemetery dates back to the time of the American Revolution, and it was quite humbling to walk among the marker stones and imagine what life was like here in the late 18th Century and into the early 19th Century. Likely a very difficult life, very hard work, and a shorter lifespan. These people didn’t have what we most certainly take for granted in our current time. I noticed a lot of the markers were in German, and these seemed to be the earliest ones as we walked towards the back of the cemetery. Little excursions like this remind me that we are all temporary, at least here, and we should slow down, stop, and “smell the roses” as the saying goes. 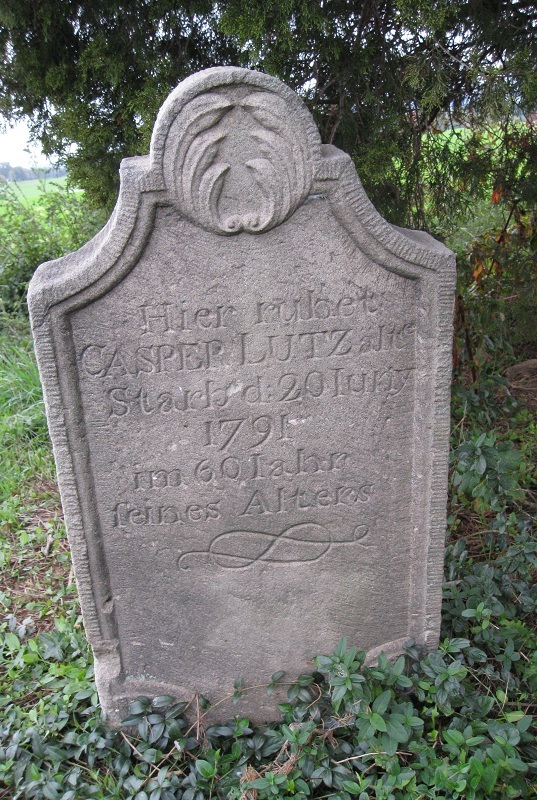 The marker stones were fascinating, and more gothic as we went further back, and a lot of the stones, although in German, seemed to have a lot to say. 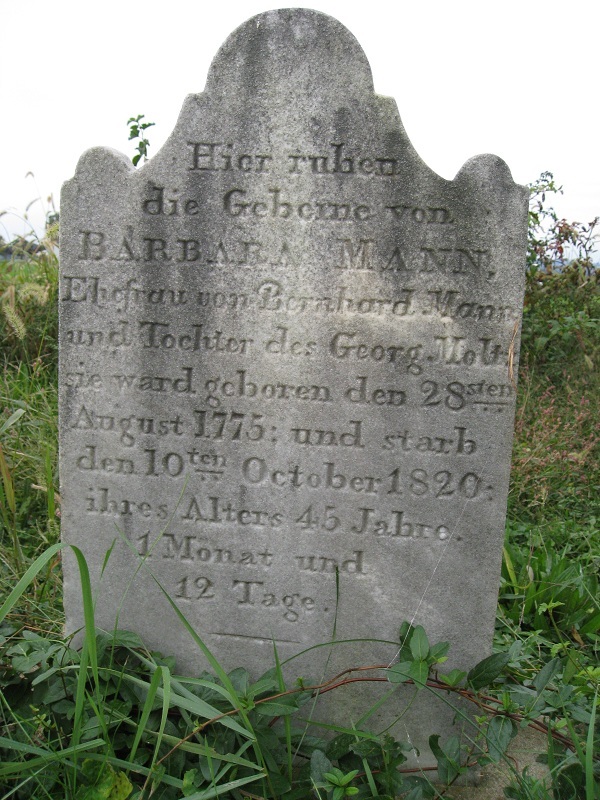 They mention, not only the born and died dates, but counted out the years, months, and days. I found myself running my fingers over the dates and noting the elegant inscriptions and the interesting textures of some of the stones. Quite fascinating, all this history just a short walk out back. 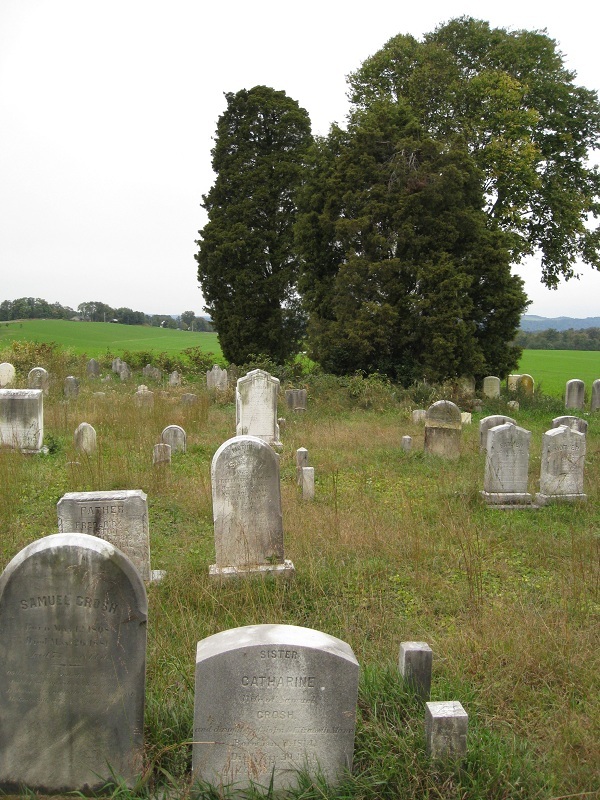 There are five people buried here that died in the farmhouse I rent, but I’ve no idea which markers are theirs. 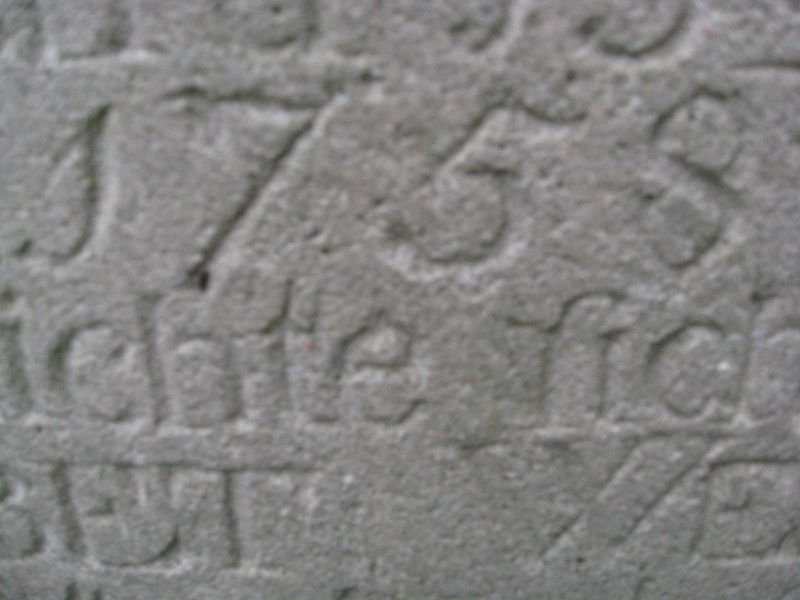 The oldest date back to the latter 1700’s and the newest one in the front of the cemetery dates to 1943. 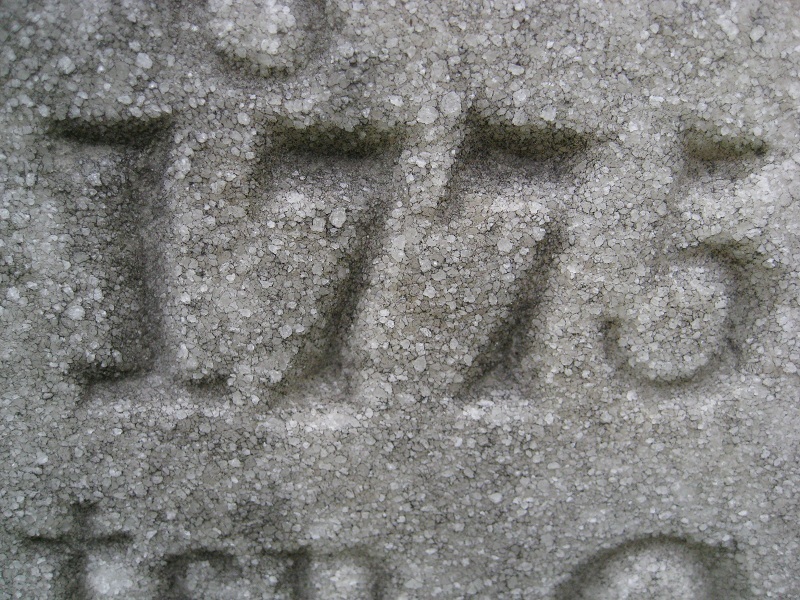 The stone with 1775 on it has a most beautiful, almost granular texture that is quite solid. 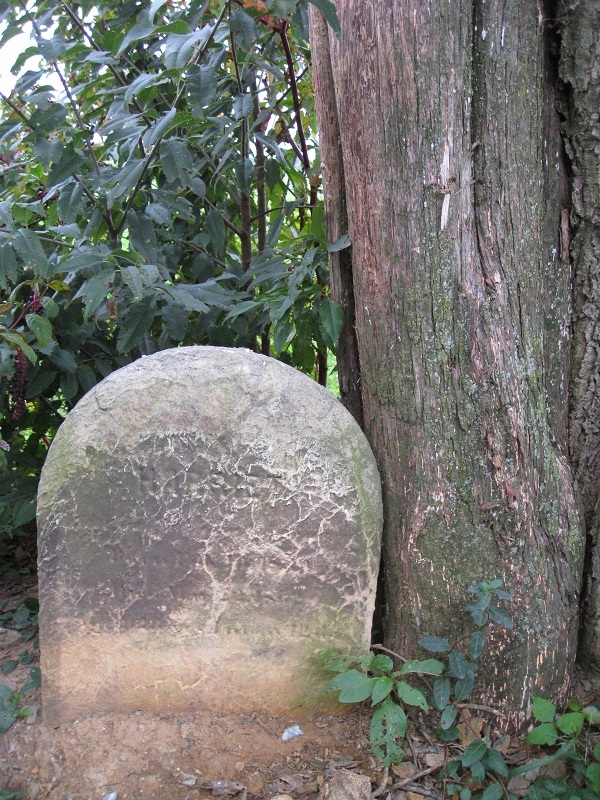 Below is a rather interesting sight, a very weathered and old marker right up against a good sized tree. 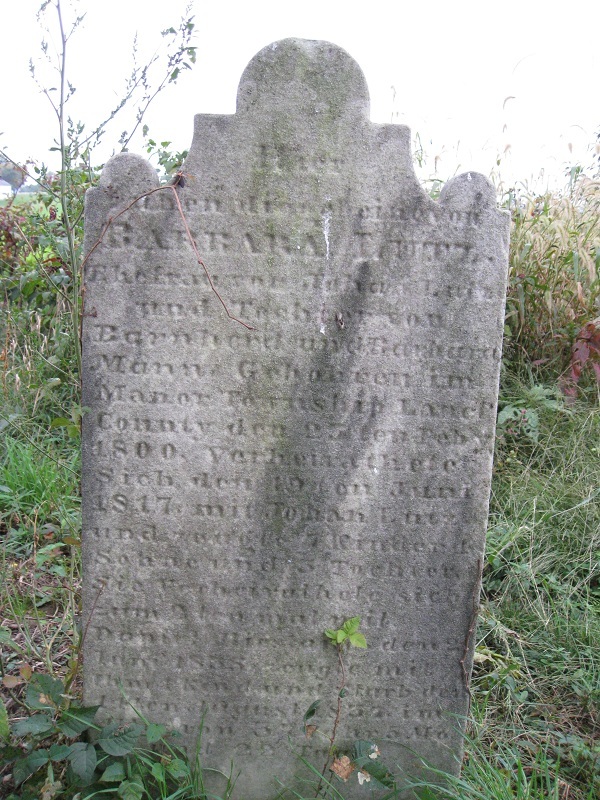 If you look carefully at the top third on the very old wind, rain, and snow blown marker stone, you’ll observe her name was Harriet. 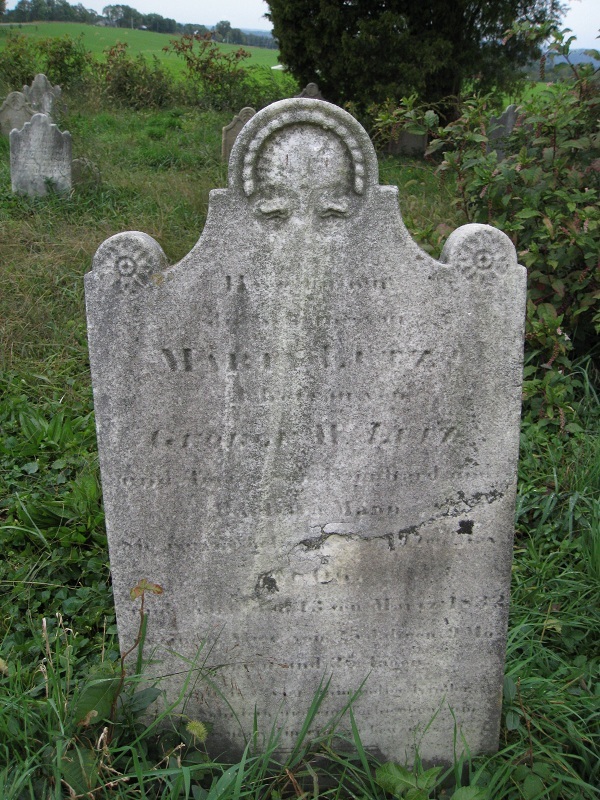 It’s unclear when she lived and died, but her grave is back among the oldest. 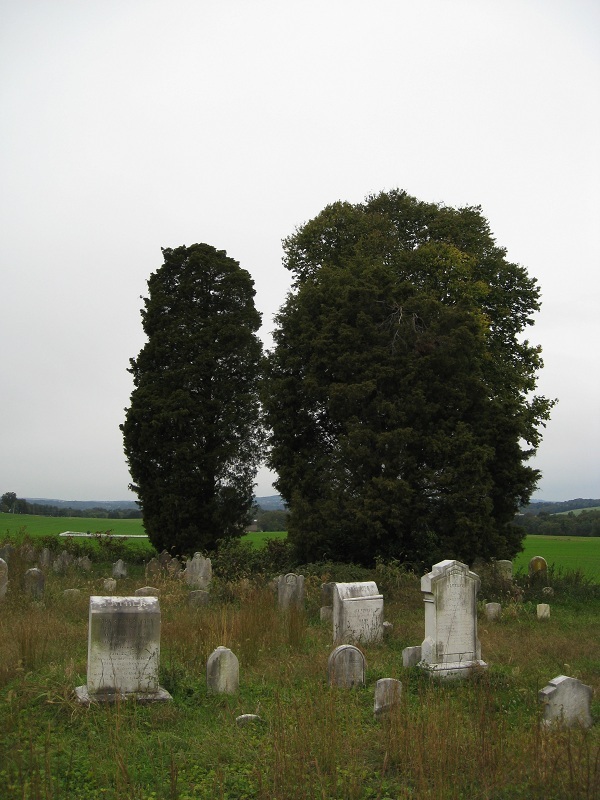 It’s a child of a newest generation tree compared to the marker stone. What a humbling experience, again, quite the lesson to smell those roses. The quite humbling trip up on the hill made me think of how we all live in a different history. After walking back down the hill, Dave had to get going homeward and I went in to cook some dinner. 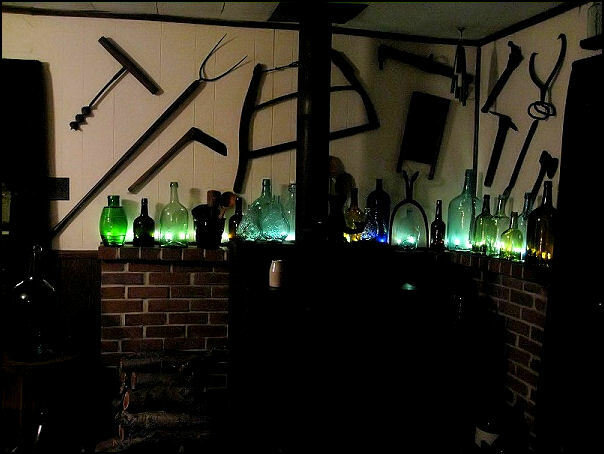 I thought again of the hard lives of the folks on the hill and noticed my primitive tools on my kitchen walls and thought what a different time indeed, as those folks may have hit me over the head for wasting these tools for mere decorations. If they could see that I can appreciate them for their simplicity, beauty, and functionality, I think they’d be okay with that.